"Lifetime" Shipping Container Sale at HPM! 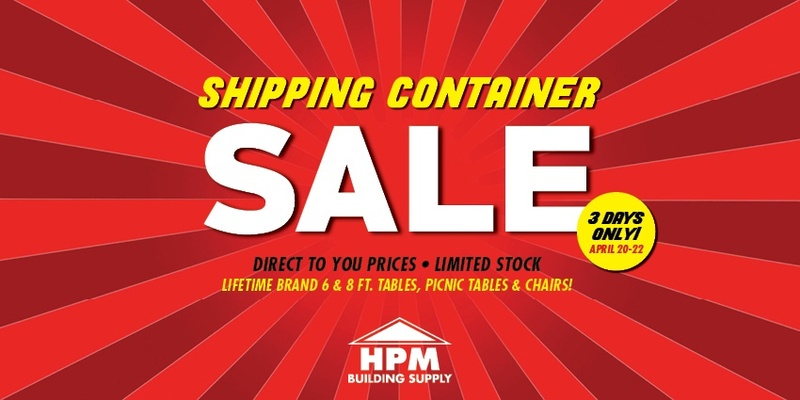 This Friday, April 20th through Sunday, April 22nd come down to our first ever Shipping Container Sale at Big Island HPM stores! Yes don't worry, we're not actually selling shipping containers... We'll have sweet - "lowest prices of the year" - deals on Lifetime products perfect for your upcoming graduation parties, camping trips and summer get-togethers! 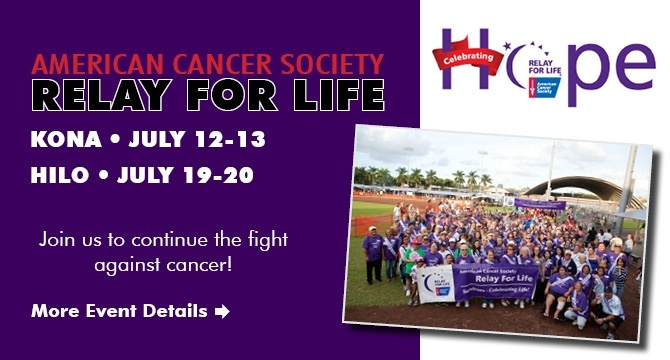 Let's Finish the Fight Against Cancer! Many of us have been touched by cancer in some way, whether it being with a loved one, friend, co-worker, or even yourself – the list goes on. Researchers say there will be over an overwhelming 1.6 million new cancer cases diagnosed and almost 900,000 cancer deaths in the U.S. this year alone. 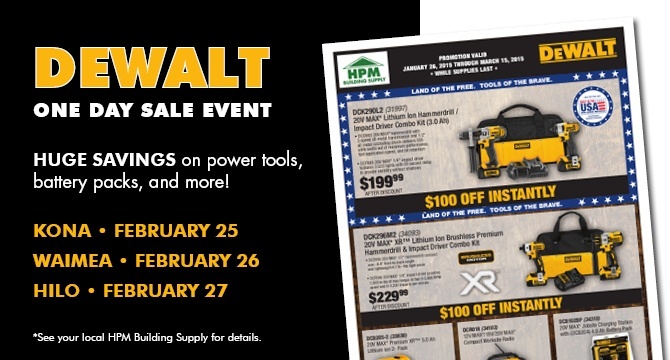 A representative from DeWalt will be visiting our Big Island stores to offer HUGE deals on tools! Take advantage of all the deals! We’ll be showcasing our HPM Maluhia and Wai`olu home packages at the new Punahoa Mauka Estates located in Hilo. You won’t want to miss this opportunity to chat with our Home Design Consultants while you tour these beautifully built modified homes. It's Time For Another Open House! Check out this newly built ‘Ilima home package that's full of upgrades! You won't want to miss this opportunity to chat with one of our Home Design Consultants as you tour through this beautifully customized HPM home package in Kalaoa on the Big Island! Everything is first come-first served, so come early. All sales are final. Only available at our HPM Kona location: 74-5511 Luhia St, Kailua-Kona, Hawaii Island, HI. For more information call 334-4200. Learn how to make it happen for you at this FREE event! We were happy to serve as a presenting sponsor of the 28th Annual Building Industry Association of Hawaii's BIA Renaissance Building and Remodeling Awards and Gala event. The prestigious competition commemorates excellence and recognizes the collaborative partnerships within the industry. The 2013 event had an extraordinary collection of submissions in new and remodeled construction and design. The entrants were judged on categories ranging from creativity to the overall quality and workmanship. We would like to congratulate the 2013 entrants and the BIA of Hawaii for a successful event. Back by overwhelming demand - the annual HPM Extreme Tool Sale!